Tuning - To minimize Cc loss (Xc) at Carrier Freq. Matching - To minimize RF signal loss from the "mismatch" between the different coaxial cable and transmission line impedance. 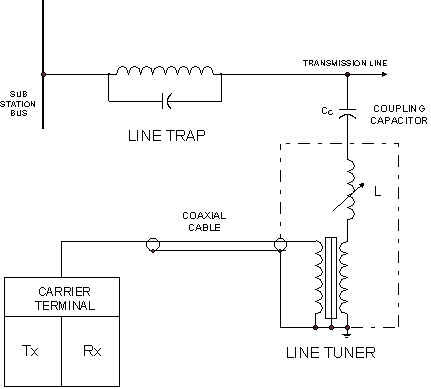 This Application Note describes the use of Signalcrafters Tech, Inc. products in tuning single frequency, dual frequency and wide band Line Tuning Units. Our customers tell us that significant time savings (on the order of ½ to ¾), can be realized by employing Signalcrafters Tech, Inc. Models 60, 70 and 90A. Some additional benefits: Only one person is required at the tuner, No AC power is required. No communications with the control room is required but is recommended. IMPORTANT - CLOSE THE GROUNDING SWITCH WHEN LIFTING OR REPLACING TUNER COMPONENT LEADS OR TEST LEADS. OPEN TO MEASURE OR ADJUST. Verify that the coax is connected to the PLC equipment normally at all locations. Verify that all transmitters are turned off. B. Set "HI-LOW" switch to "HI"
C. "MEMORY" switch to "1"
D. " F KHZ" to "0.100"
E. "ON-OFF" switch to "ON"
F. Press the "VFO" keypad. This causes the decimal point in the LCD Display to blink indicating the "VFO" is unlocked and frequency entry is possible. G. Adjust the large tuning knob to produce the desired frequency in the LCD Display, and of course, at the output. H. Press the "VFO" keypad. This causes the decimal point in the LCD Display to stop flashing and locks the VFO. At the line tuner, remove the PLC transmitter input coax. Connect the Model 90 "RF OUT" port to the Model 70 "RF IN" port using a coax cable. Connect the Model 70 "RF OUT" port to the line tuner transmitter input using the proper transition. Verify that the grounding switch on the tuner is open. Set the Model 70 "RANGE" control to "5 WATTS" and turn the instrument "ON". Adjust the output of the Model 90A until the Model 70 "RF POWER WATTS" meter reads 2 watts. Adjust the series inductor on the line tuner for the lowest reading (dip) on the Model 70 "% REFLECTED POWER" meter. Make note of the impedance matching transformer tap setting and the minimum reflected power level. Turn off the Model 90A and charge matching transformer tap setting one tap, one direction or the other. Turn the Model 90A back on the note % reflected power level. Continue this process trying to improve the % reflected power level. Touch up the series inductor again for the lowest reading on the Model 70 "% REFLECTED POWER" meter. Note: The purpose of steps 7-9 is to try several impedance matching transformer tap settings. These taps are generally between 250 and 375 ohms. However, they can range from 100 to 800 ohm. Normal reflected power after tuning is less than 1% and up to 5% is probably acceptable. Reflected power percentages above 5% may be indicative of possible problems and will not be dealt with here. 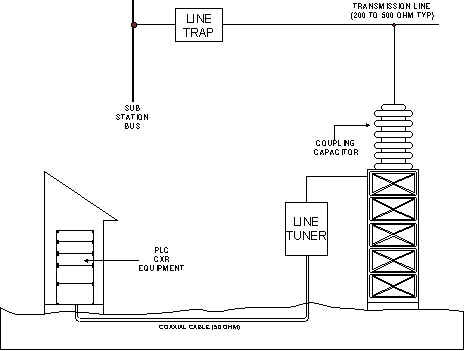 NOTE: Steps 10-17 deal with tuning the two parallel L/C units whose purpose is to keep each transmitter signal from going directly into its neighboring receiver. Load a second frequency into MEMORY register 2 on the Model 90A by repeating the steps found in par 2 above. NOTE: To recall the frequency residing in memory register 1, turn the MEMORY control to register 1 and press the "RCL" (recall) keypad. The generator is returned to frequency #1 which is display in the LCD Display. Isolate the Freq. 1 Parallel L/C unit. Connect a Model 60 across the L/C unit. Connect the Model 90 "RF OUTPUT" to the "SIG IN" port on the Model 60. Set the Model 90A output frequency to F1. Adjust the "OUTPUT LEVEL" of the Model 90A to obtain a reading of 10Vrms on the panel meter. Adjust the frequency 1 L/C unit for a maximum reading on the Model 60. Note: If some lines have a Blocking or Phase Comparison carrier on one side of the line tuner and a Transfer Trip (FSK) carrier on the other side of the line tuner, the L/C unit for the transfer trip (FSK) carrier should be tuned to the receive center frequency and the series inductor should be tuned to the transmit center frequency. If this is the case you will have to add a 3rd frequency to the Model 90A memory. Make the frequency 1 side normal. Repeat steps 11-14 for F2 side of the tuner. Remove the Model 60. Connect the Model 90A "RF OUTPUT" port to Model 70 "RF IN" port. Connect the Model 70 "RF OUT" port to the frequency 2 input of the tuner using coaxial cables and the proper transitions. Rotate the Model 90A MEMORY control to register 2 and press the "RCL" keypad. Set the "RANGE" selector on the Model 70 to 5 watts and turn the instrument ON. Adjust the "OUTPUT LEVEL" control on the Model 90A to obtain a reading of 2 watts on the Model 70 "RF POWER WATTS" meter. Adjust the frequency 2 inductor for the lowest reading (dip) on the Model 70 "% REFLECTED POWER" meter. Make note of the impedance matching transformer tap setting and the minimum reflected power level. Turn off Model 90A. Change the frequency 2 impedance matching transformer tap setting one tap at a time, one direction or the other, trying to improve the minimum % reflected power level. Remember, turn off the Model 90A when changing impedance matching transformer taps and turn it back on to check the results of the adjustment. Turn on the Model 90A and touch up the series inductor again to produce the lowest % reflected power reading on the Model 70. To tune the frequency 1 side of this Line Tuner repeat steps 15-21. Remember to recall frequency 1 from the Model 90A memory. Turn off the Model 90A and Model 70. Remove all test leads. Make the line tuner normal. Inform the opposite station that you are ready for them to tune. NOTE: After the opposite station tunes, if they have made large changes, it may be advisable to recheck the tuning at this station. NOTE: Part C assumes phase to ground coupling and that the line tuner does not include hybrid. CLOSE THE GROUNDING SWITCH WHEN LIFTING OR REPLACING COMPONENT LEADS OR TEST LEADS. OPEN TO MEASURE OR ADJUST. Lift the LINE in and output leads from Parallel L/C (3L) unit at E1 & E2. Connect the Model 60 across the Parallel L/C unit at E1 & E2. Connect the Model 90A "RF OUT" to the Model 60 "SIG IN" port. Set the Model 90A output to the GMF @ 10Vrms. Tune the coil in the Parallel L/C unit for maximum |Z| on the model 60. Refer to the Model 60 Operation Manual to determine any artifactual capacitance if concerned. Tune the Series inductor (2R) and the impedance Matching Transformer (4L) using STEPS 2-9 from PART A above. Reconnect the Parallel L/C circuit and observe on the Model 70 what effect this addition has had. It should be negligible. If necessary touch up the Series Inductor to improve the Model 70 indication. Remove all test connections, firmly reattach all leads, tighten the set screws on the coil knob.